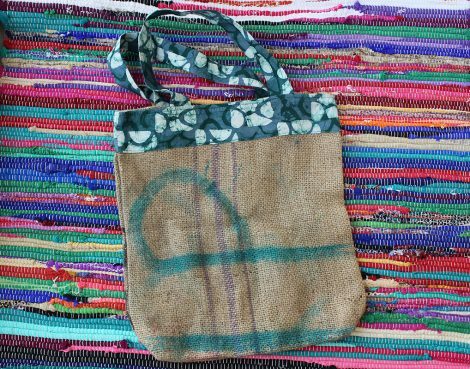 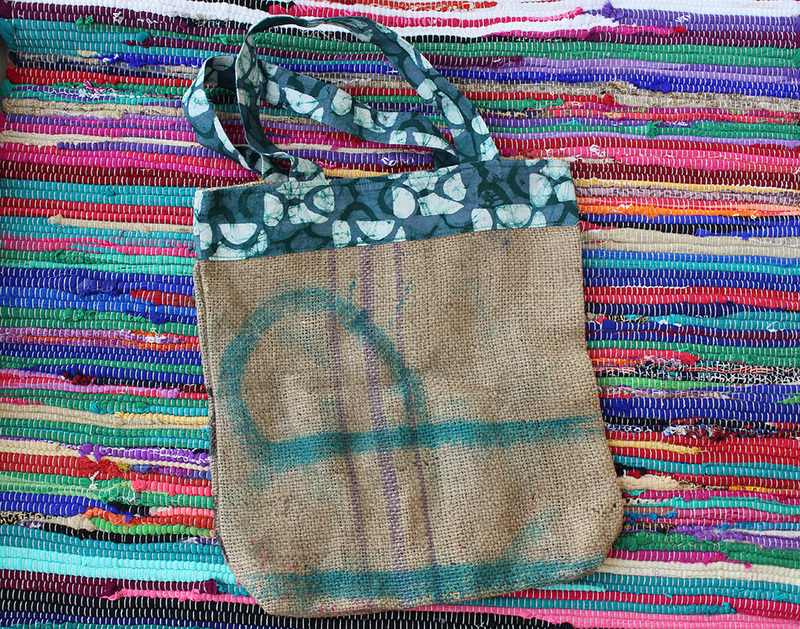 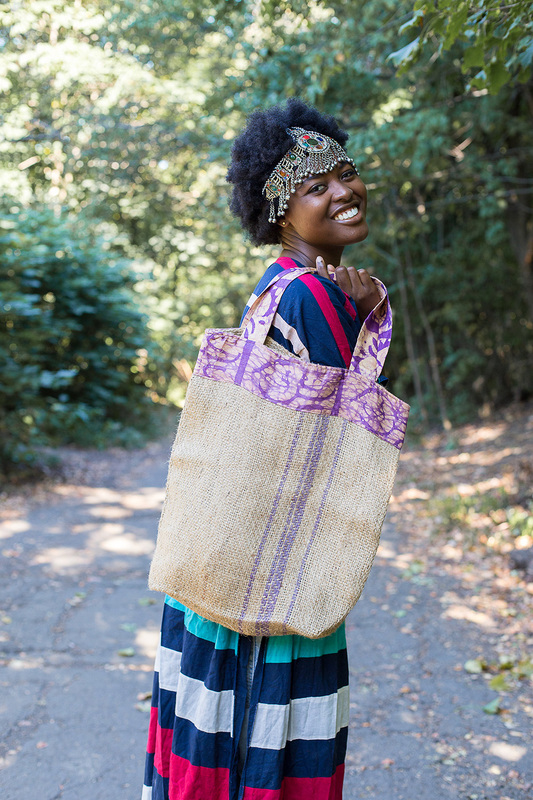 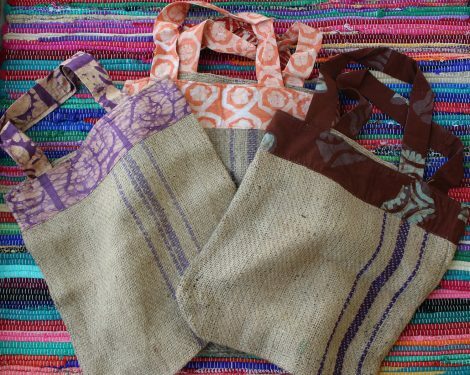 Upcycled coffee bags and traditionally batiked cotton trim and handles. 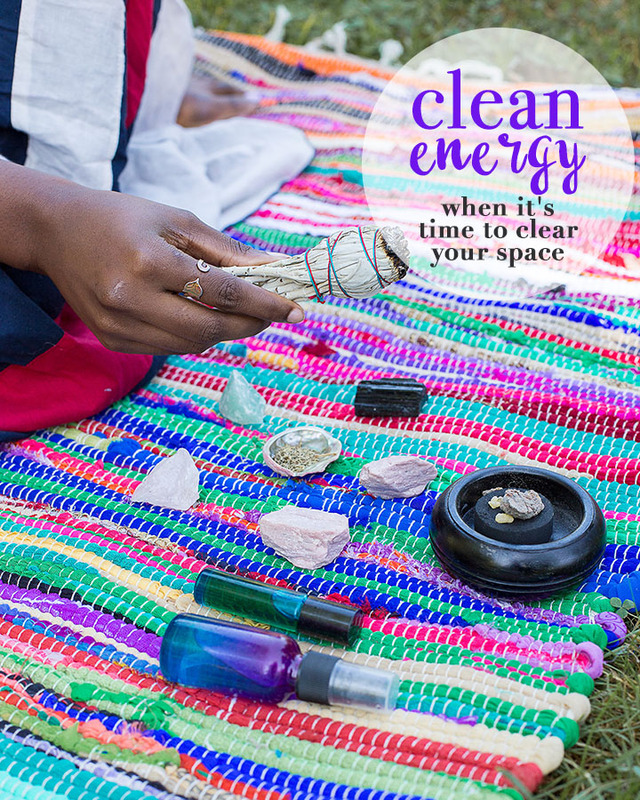 Made by women in Ghana. 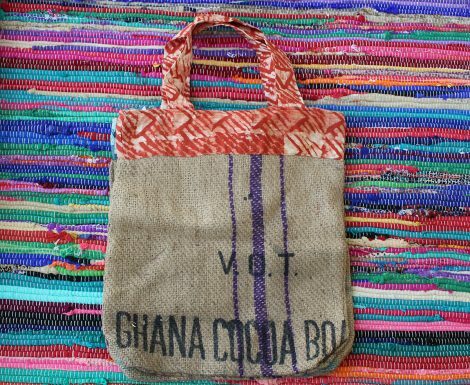 Made by women in Ghana via World Peaces.